Explore the island of mystery. 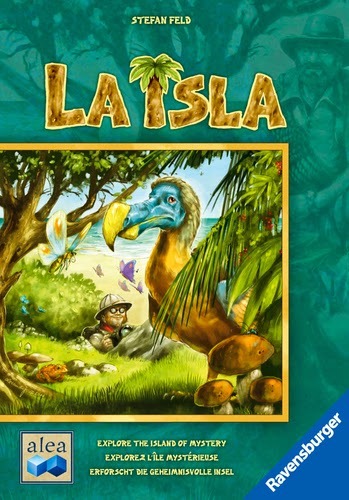 La Isla is a game about finding and capturing 5 different extinct species of animals: Dodo, Giant Fossa, Golden Toad, Sardinian Pika, and Owlet Moth. The winner is determined by most points at the end of the game. Even though La Isla is a relatively short game for a Stefan Feld design, it still requires players to make good decisions in every round. another from their current cards. The resource cubes gained with the 2nd section of the card are used in the next phase of the round to place explorers on the board to surround and capture animals. It requires 2 cubes of 1 color to place an explorer on that color section of the board. There are 5 different color resources with matching sections on the board. The 3rd card section moves an animal’s scoring track up one spot. The scoring track determines the point value of each animal captured during the game. It takes 4 moves on the track to make an animal worth 1 point, 7 for 2 points, on up to a maximum of 5 points. The movement up the track also yields victory points of 1 points per type of animal you have already captured. Game turns are fairly quick, draw 3 cards, determine the 3 different uses, reveal cards simultaneously with other players, place one card in a special action slot, take a resource cube, pay to place an explorer, and move up a scoring marker. Game decisions are really interesting. The end game trigger is unique. As the scoring markers move up for the various animals, it is the total value of the animals added together that signals the end of the game. In a 4-player game that total is 11. End game scoring includes points for sets of all 5 animals and the number of animals of each type captured times the number reached on the scoring track for that animal. May the best explorer win! 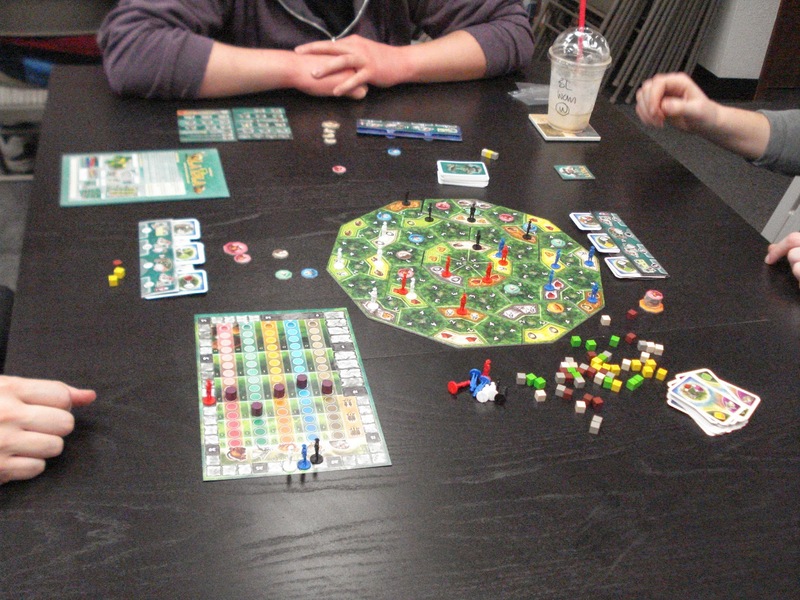 We have an open copy of La Isla available in our Demo Games Library for you come in and try.